Becky Dreistadt started working professionally in art when she was 15 as a caricature artist at Busch Gardens in Williamsburg, Virginia. After graduating from Savannah College of Art & Design, she moved to New Zealand with her partner Frank, where they began working together on their popular webcomics Tiny Kitten Teeth and Tigerbuttah. She now lives in LA and works in comics, children’s literature, and animation. 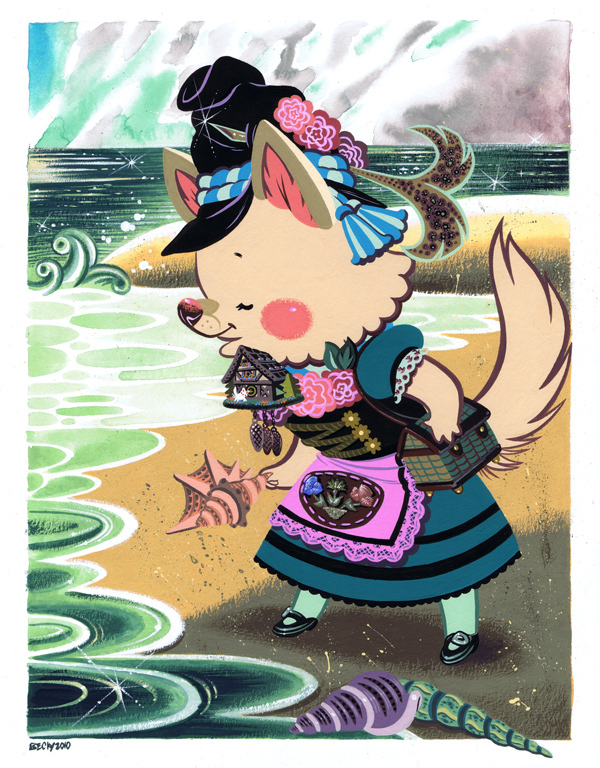 Becky works primarily in physical media, particularly gouache and ink. Over a hundred wonderful and terrifying creatures have suddenly appeared on Earth, all with a variety of weird, wild powers. It's up to two teenagers to figure out where these curious creatures came from - as well as how to save them from a world that threatens their very existence.